DENMARK: MHI-Vestas has been named as the preferred turbine supplier for Vattenfall's 400MW Horns Rev 3 project in the North Sea. MHI-Vestas would supply 50 V164-8MW turbines to the project. The first turbines at Horns Rev 3 are expected to be connected in 2017. In February, Vattenfall was awarded the licence to develop the Horns Rev 3 project. Vattenfall placed a winning bid of €103.1/MWh to secure the contract from the government. It must be taken into account that the low price of Horns Rev 3 omits the grid connection and substation costs, taken on by transmission operator Energinet.dk. Vattenfall outbid Dong Energy, Statoil and E.on in the bidding process. The Swedish utility already owns a 60% stake in the 160MW Horns Rev 1, in partnership with Dong Energy. It uses 80 Vestas V80-2MW turbines. The V164 is yet to be installed at a commercial project. Dong Energy's Burbo Bank Extension is set to be the first project to use the turbine. Installation at the Irish Sea project is due to begin next year. 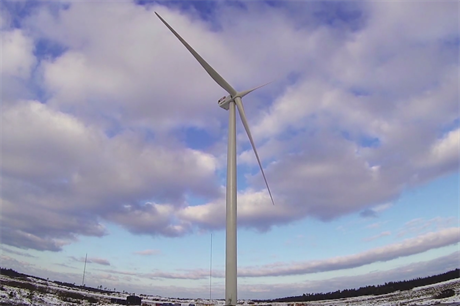 Earlier this month, MHI-Vestas signed a deal with European Energy to install two prototype V164s at an onshore test site in southern Denmark. The two new models will be used to test installation methods, as well as operations and maintenance services. MHI-Vestas also has a prototype of the turbines at a site in Osterild, Denmark, which has been operating since January 2014.